Mac and cheese, nachos, broccoli, and so much more! Yes, cheese sauce makes the culinary world go round! 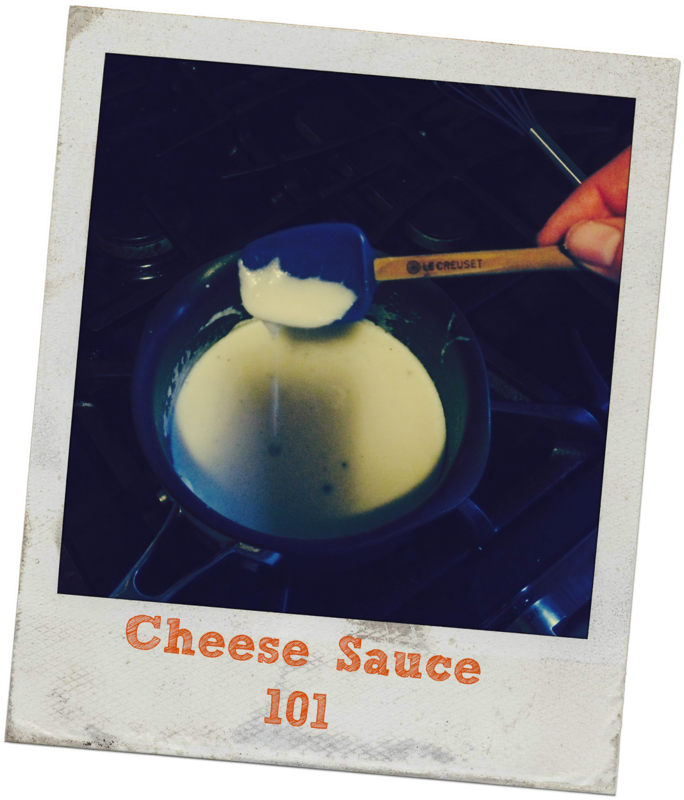 I realize you are probably thinking "Why do I need to know how to make cheese sauce? They have all sorts of them in a jar, and if all else fails there is Velveeta." That may be true, but remember, what you put in front of you and your family is what they are putting in their bodies for health and nutrition. If you can't say it, it more than likely isn't good for you. That is why learning to cook from scratch is important. Not to mention, making cheese sauce from scratch is so much cheaper than buying the jarred stuff. So now that we have established why it is important, let's get started learning how it is done! There are a couple of things you will need to do in preparation. First, you will need to grate your cheese. You can use any kind of cheese you like here. I am making a white cheese sauce for a sub sandwich, so I chose Monterey Jack. I like to grate my own cheese because I find that freshly grated cheese melts easier than the bagged stuff. You will also need to warm your milk. You can do this in a sauce pan or in the microwave as I have done here. To begin, you will heat your oil in the sauce pan. Then you will add your flour. You will let this cook for about a minute. It is cooking that flour taste out of your sauce, because who wants to eat cheese that tastes like flour!?! Now it is time to pour in the warm milk. After a couple minutes, you will see the sauce begin to thicken. Once your sauce has thickened, turn off the heat, and add your cheese. Then add your salt, pepper, and any seasonings you wish. There you have it! I lovely cheese sauce that can be used for just about anything! I love recipes like this. All you have to remember is 1,1,1,1! Grate the cheese of your choice. Add tablespoon of oil to hot pan. Whisk and allow flour to cook for 1-2 minutes. While whisking, add warm milk. Allow to cook for 2-3 minutes, until sauce thickens. Turn off heat and cheese. Add salt, pepper, and the seasoning of your choice.